Steven Fogarty scored twice, and Marek Mazanec made 35 saves, Saturday night at the Mohegan Sun Arena at Casey Plaza in Wilkes-Barre, PA, as the Wolf Pack snapped a five-game losing streak with a 3-2 win over the Wilkes-Barre/Scranton Penguins. The game was the second in as many nights between the two clubs in Wilkes-Barre, and the win earned a split of the two contests for the Wolf Pack, after a 5-3 loss to the Penguins on Friday night. It remained 1-1 until the 11:02 mark of the second, when Fogarty bagged his second of the game, upping his team-leading goal total to seven on the year. Crawley sent Fogarty and Ville Meskanen away on a 2-on-1, and Fogarty used Meskanen as a decoy and fired a shot past Jarry’s catching glove from the right side. Just 2:24 later, at 13:06, Butler scored his third of the season to make it a two-goal Wolf Pack lead. Holland passed the puck out of the right-wing corner to an unchecked Butler at the left side of the goal mouth, and Butler dunked a forehand shot into the net. It took the Penguins just 1:24 to get that goal back, though, as Teddy Blueger won a faceoff from Holland to Mazanec’s left, and the puck went right to Trotman high in the slot. He unloaded a shot that beat Mazanec’s catching glove at 14:50. The third period was scoreless, with the Penguins forcing Mazanec to make a save on a shorthanded breakaway opportunity for Garrett Wilson around the eight-minute mark, after Wilson stole the puck from John Gilmour at the right point. 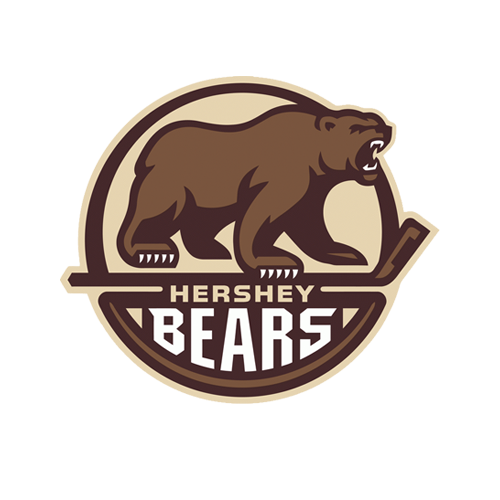 The Wolf Pack finish their first three-game weekend of the season Sunday at Hershey, taking on the Bears in a 5:00 PM game. All of the action can be heard live on News Radio 1410 WPOP, and on-line at www.newsradio1410.com and iHeartRadio. 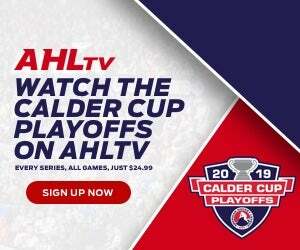 Video streaming is available at theahl.com/AHLTV. 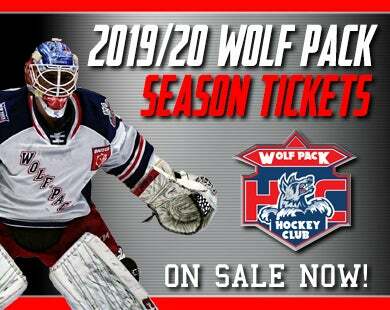 The Wolf Pack’s next home game is also against Wilkes-Barre/Scranton, next Saturday, November 10 at 7:00. 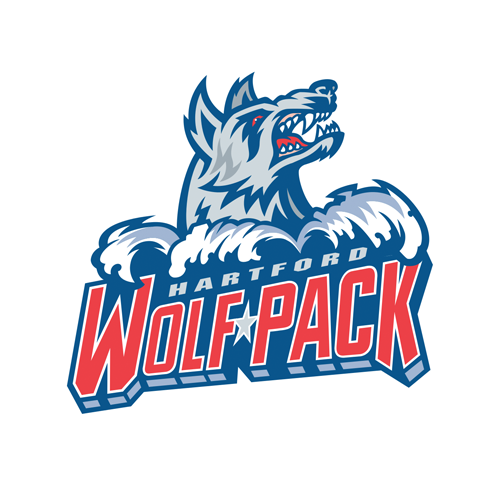 That is “Country Night” at the XL Center, and tickets for all 2018-19 Wolf Pack home games are on sale now at the Agera Energy Ticket Office at the XL Center, on-line at www.hartfordwolfpack.com and by phone at (877) 522-8499. Tickets purchased in advance for kids 12 or younger start at just $13 each, and all tickets will have a $3 day-of-game increase. 1st Period-1, Hartford, Fogarty 6 (Holland, Schneider), 2:15 (PP). 2, Wilkes-Barre/Scranton, Lafferty 3 (Haggerty, Lindberg), 11:17. Penalties-Di Pauli Wbs (slashing), 0:35; Lafferty Wbs (cross-checking), 3:06; Lindgren Hfd (tripping), 7:53; Fogarty Hfd (boarding), 12:30; Lindgren Hfd (slashing), 19:18; Hayes Wbs (slashing), 19:18. 2nd Period-3, Hartford, Fogarty 7 (Crawley, Meskanen), 11:02. 4, Hartford, Butler 3 (Holland, Crawley), 13:26. 5, Wilkes-Barre/Scranton, Trotman 1 (Blueger), 14:50. Penalties-O'Neill Wbs (high-sticking), 4:23; O'Gara Hfd (roughing), 9:49; Wilson Wbs (roughing), 9:49; Fogarty Hfd (tripping), 18:50. 3rd Period- No Scoring. Penalties-Lafferty Wbs (tripping), 6:35; Lindberg Wbs (tripping), 12:54. Shots on Goal-Hartford 9-8-7-24. Wilkes-Barre/Scranton 11-17-9-37. 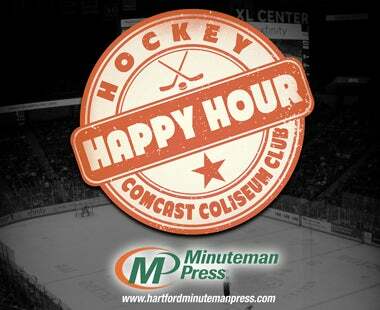 Power Play Opportunities-Hartford 1 / 5; Wilkes-Barre/Scranton 0 / 3. Goalies-Hartford, Mazanec 3-4-0 (37 shots-35 saves). Wilkes-Barre/Scranton, Jarry 3-2-1 (24 shots-21 saves). Referees-Ryan Jenken (24), Jeremy Tufts (78). Linesmen-James Tobias (61), J.P. Waleski (14).